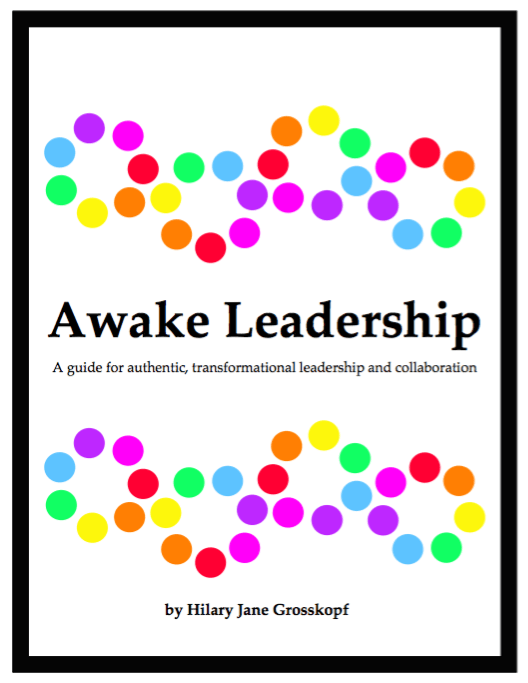 Awake Leadership: Authentic, Transformative Leadership and Collaboration. In this workshop, Hilary will introduce her new book, Awake Leadership. We will discuss how each of the seven sections of the book, or "leadership vitals", enable you to move toward big objectives with more enthusiasm and ease. We'll discuss how leadership is a cyclic process and why a balance of hard and soft skills is so important for modern leaders to have. Finally, we'll work through some of the exercises in the book to start your Awake Leadership journey! A method for progressing toward objectives more efficiently and with more clarity, enthusiasm and ease. How to develop your authentic, inspirational leadership style and how to build a company culture that makes you and your team and/or business partners excited to work toward the vision each day. Why both individual and collaborative practices are critical for strong, authentic leadership and transformation. Why having a balance of hard (technical) and soft (creative) skill sets is so important to have as a leader and learn how to begin building those skill sets with the exercises in the guidebook. There will be signed copies of the book for sale at the event! Hilary is originally from Philadelphia, PA where she first started working in the world of retail at the Home Office of Anthropologie, Free People, and Urban Outfitters. Her work there ranged from global transportation, to customer analytics, to supply chain and logistics. In 2015, she moved to California to continue her retail journey and serve as a leader at Restoration Hardware’s Home Office. In 2017, she published the Awake Leadership guidebook and began providing her analytics, supply chain, and leadership consulting services to small, growing businesses. The intention for writing Awake Leadership and offering Awake Solutions consulting services is to share learnings, tools, and strategies from her variety of deep experience. Hilary believes strong, aligned, intentional leaders and team members are the key for organizations to succeed… from the inside out. She has a bachelors and masters degree in systems science and engineering from the University of Pennsylvania.